Headlight bulbs burn out. It happens to all of us. But which headlight bulb do you want in your car? What are the best headlight bulbs for the money? What’s better, HID, LED, or halogen? This website is dedicated to answering these questions. 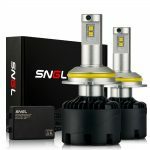 See below for the 2019 best LED, HID and halogen headlights. Headlight bulb manufacturers tend to charge more for bulbs that are brighter and whiter. Brighter bulbs with higher light output, and a higher color temperature tend to cost more, so if this is important to you, be prepared to spend a little more. Also, halogen headlight bulbs that claim to be whiter and brighter also tend to burn out quicker. Manufacturers are able to provide more light output, but that additional intensity burns them out at a faster rate than a normal headlight bulb. However, if you’re willing to switch from the halogen headlights that come in most vehicles, to an LED headlight, or a HID headlight, you’ll get a much brighter bulb, whiter light, and a much longer bulb life. 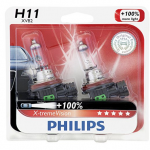 As a general rule, halogen headlight bulbs with a higher light output tend to have a shorter working life. Higher light output bulbs run hotter and more intensely. This shortens the life of the bulb. 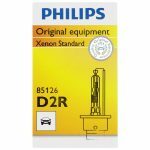 Our experience shows that a high output halogen bulb will last at least one year, as opposed to a standard OEM bulb that will likely last three years or more. If the whiter light is important to you, and you don’t want to switch to a LED or HID conversion kit, just plan to buy a new set of high performance halogen headlights about once per year. If your vehicle didn’t come equipped with this type of headlight, you’re in luck. Many manufacturers are making and selling both LED and HID conversion kits. Both types of headlights will give you a very intense white light. However, if you don’t want to stray from what the factory installed, you can find halogen bulbs that have a similar color temperature as an HID or LED. The way that manufacturers accomplish this is by coating the outside of the bulb glass with a semi-transparent film. In most cases this is a blue film. As the light passes through the glass/film, it changes the color of the light, just as if you were looking through tinted sunglasses. The problem with this is as soon as there is any film or coating on the glass, you lose light output. You may get the color you want, but you might not be able so see very well at night. So as you are shopping around, keep this in mind. You’ll often find color temperatures stated on headlight bulb packaging. 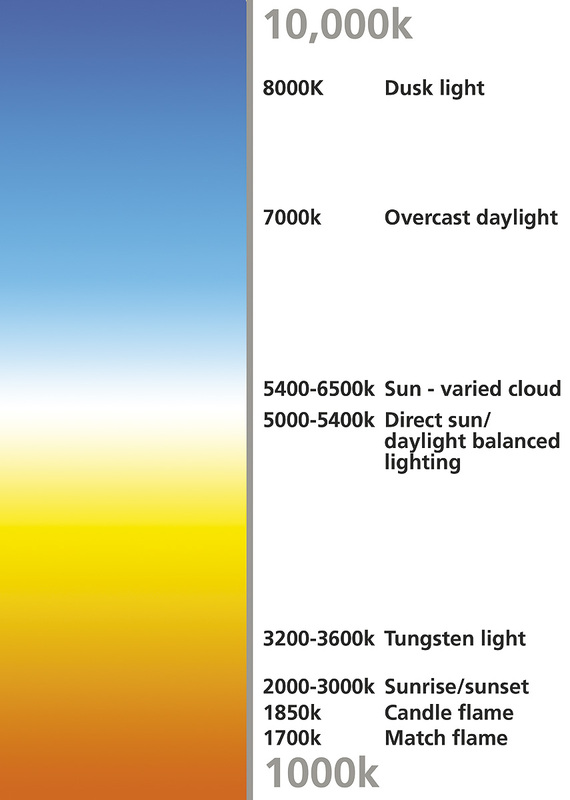 Normally, a halogen bulb will fall within the warm colors, somewhere between 2000K and 4000K. For a halogen bulb to achieve a higher color temperature, it will need to pass through tinted glass. That is why you’ll often see headlight bulbs that are blue in color claiming to have a bright white light output. The more dense the tint on the glass is, the bluer the light output becomes, and higher color temperatures are achieved. Logic tells me that the human eye has adapted itself to seeing the world best under the bright light of the sun. That falls at around 5000K – 5400K. 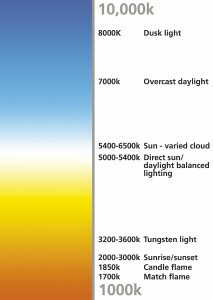 So, for me, that is the color temperature that I’m looking for when I’m in the market for new headlight bulbs. They will have a very clean, white appearance from the outside looking in, and from the driver’s seat, you’ll have the optimal color temperature for your human eyes. Not all bulbs are created equal. Different vehicles require different types of headlight bulbs. Some vehicles require four to six bulbs (high beam, low beam, and fog), while others only require two (high/low beam combo). The headlight assembly also comes into play here as well. You might find that a particular brand/model of headlight bulbs work great in one vehicle, and perform awfully in another. Here is an example of that. Several years ago I purchased a set of headlight bulbs that were more towards the blue end of the spectrum. I put them in a Mitsubishi Lancer. They looked fantastic and worked great. The lancer had separate bulbs for high and low beams. I thought since they worked so great I’d but a set for my Toyota Solara, which used a high/low beam in one. They were terrible! I could hardly see a thing at night and they were terrifying to drive at night with. The moral of the story is, when you’re buying headlight bulbs, read the reviews from others that purchased the exact model of headlight bulbs that fit your vehicle. You’ll get a much more accurate read on what to expect. It’s easy to get lost in all of the gimmicks, fancy packaging, and bloated claims. At the end of the day, if you want more light output, you need more watts. Think of a household light bulb. The light output of a 40W light bulb is much less than that of a 100W light bulb. More watts = more light. Pay close attention to the watts on the package as manufacturers will normally print these specs very small. If you see something like 65/55W, that means the high beam is 65 Watts and the low beam is 55Watts. A headlight bulb with high wattage, and a color temperature around 5000K will be an excellent performing headlight by my standards.